March might be over, but Adelaide’s festival season has just begun! 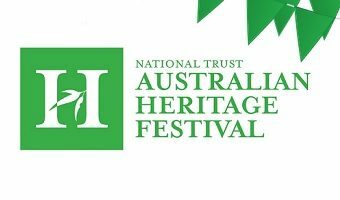 The Australian Heritage Festival is nearly upon us, bringing with it a program packed with rare insights and fascinating adventures in local heritage and history. The 2017 Australian Heritage Festival theme is Having a Voice and we invite communities across South Australia to tell their stories through different voices, recognising the many narratives that have shaped South Australia. When has your community joined together to be heard? What voices deserve to be commemorated in your town? What stories are shared across cultural groups in your community? How do you celebrate the voices that have shaped your area? What sounds are unique to your region? Does your community celebrate its heritage via song? Our shared heritage is rich with voices from many cultures – Having a Voice is about taking time to stop and listen to stories from every corner of our society. Explore the full program of Australia’s biggest annual community-driven heritage festival here, and get involved!